Just off the beach - 15kms of undeveloped and empty sand - was this castle, surrounded by sand dunes. Though in actuality a private residence/tourist lodge - known as The Fort - I didn't find it offensive or detractive to the scene. 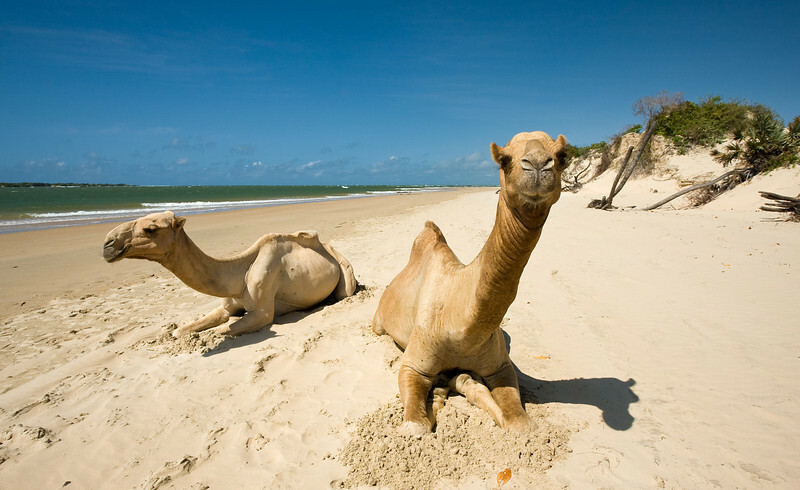 A couple of camels taking a break on the beach. 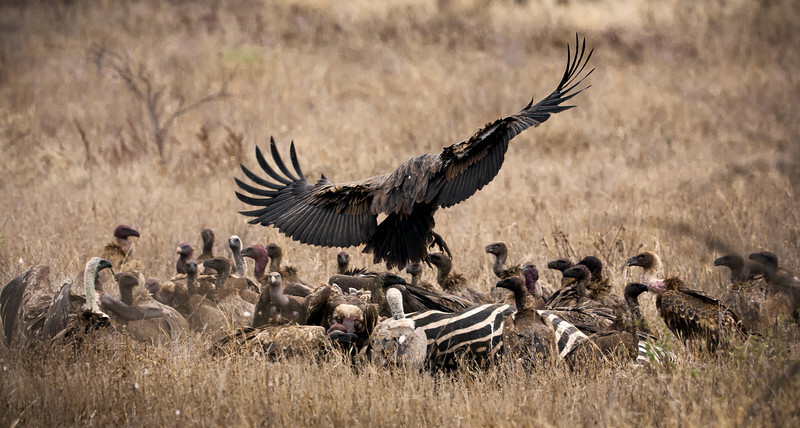 An incoming vulture joins numerous others at a dead-zebra buffet. 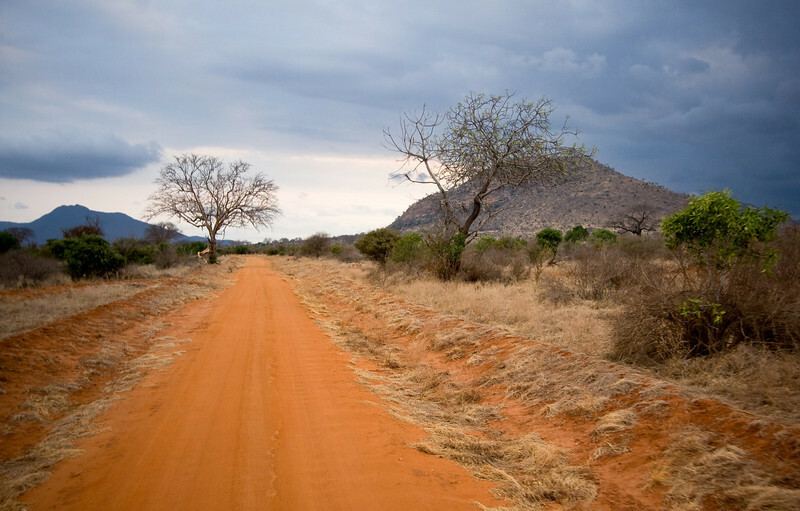 The infamous red dust of Tsavo contrasts nicely with, well, most everything. Here, it's darker clouds in the evening time. 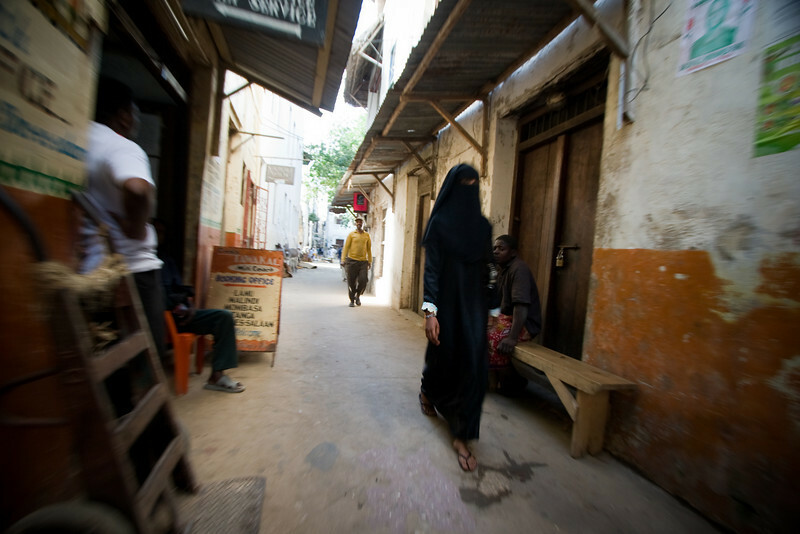 The narrow alleyways of Lamu town are great for strolling. 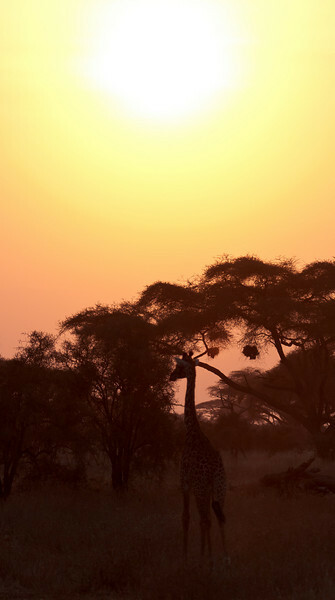 Giraffe against the late-afternoon sun. 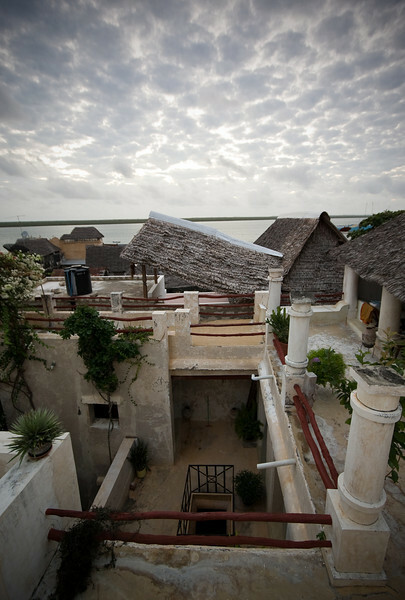 The World Heritage-listed Lamu old town is chock-a-block with fantastic old buildings that, when restored and spruced up, have a sense of style and aesthetics that really can play to western tastes. This from-the-rooftop-sitting-area shot of the early morning sky shows a fine example of a beautifully done up Swahili palace made into a guesthouse/hotel.